I don’t believe many people think about life as a homeless person, who would unless you were forced to. I honestly can’t imagine what life is like for homeless people but what I do know is many are skilled and many just want someone to give them a chance. There are times when people give up on themselves because others give up on them. Although we should fight for what we want sometimes the war is won and it’s hard to get back what you’ve lost without a miracle or perseverance of sorts. Homelessness is potentially caused for many reasons, one being lack of employment and somewhere to live. I was touched by kindness this morning when I watched a video on You Tube where a couple of guys who prank people and share it on their channel called Vitalyzd TV gave a homeless man a full makeover. This was no prank though, it was real and it was uplifting for many people to watch, over 3 million so far on You Tube. To be honest I wasn’t going to watch it but something compelled me to just check it out. I’ve been in the motivational mood lately to push people to make changes in their lives. The two guys Vitaly Zdorovetskiy and Andrew Hales found this homeless guy named Martin who was looking for work. Martin says he specializes in tiling, carpeting and electrics. The look on his face is priceless but his words are so powerful in the video. Only $8.00 a day which he may make from those who give him money throughout the day he can stretch to buy all sorts he says. The guys take him for a hair cut, to get new clothes, and bought him 2 nights in a hotel so he could shower and sleep in a warm bed. I can’t tell you the emotion that it brought to me when you see Martin fall on that bed. You watch the video so you understand. Later that evening they bring him out for a steak dinner and Martin is over the moon. He eats so much food and later gets a sweet taste of dessert. I don’t know to be honest, I’ve never been in that position but I’m sure it’s far from any reality that I can bring to life. I remember when I did the welfare food challenge last October trying t live on $20 a week worth of groceries and this guy is lucky to cash in making $56.00 a week or $8 a day (if he even makes that every day) from handouts not including shelter or what one would receive from social assistance. I’m sure once you watch the video you will sense the excitement in his voice, but most of all you realize how the small things mean so much to others who don’t have the luxury like others such as a warm bed. You might even question your passion and desire for things that you have and how you should be happy to be the position that you are in. I don’t know. Most people might tell me no, I worked hard for what I have and rightfully so. I guess it’s a matter of personality and what one senses as a need vs a want. Sometimes all we really need is the simple things in life to get on day by day and still keep a happy smile on our faces. Where do homeless people live? Finding a job for many people is a struggle especially if they are homeless and don’t have a home address. Most employers require a home address when they hire you. I guess just telling the truth and hoping that a potential employer was empathetic and wanted to help out would make a difference even though we know they are far and few. Living in a dark alley or on a park bench might not cut it for human resources but I’m sure there are resources available for those that are homeless. I don’t know but this video really struck a chord with me because it’s great to see people helping others in such a way that is not often seen in the public eye. Martin was not harassing anyone, rather minding his own business when this all went down. It almost seems like he feels he won the lottery for a day. We tend not to see homeless people pictures in the public eye because there isn’t much to say, except that they are homeless and it is a big problem all over the world. All Martin wanted was to have his teeth pulled so Zdorovetskiy and Hales tried to raise money to make that happen. From what I read they surpassed that goal. I’d be interested to hear a follow-up on Martin to see how it all went, how this may have inspired him or changed his life and whether he found a job. Life can be a cruel place for anyone but we need to remember that for the short time that we are here we must come together for the good of ourselves and the people. People helping people builds a stronger bond, a stronger community and a satisfaction internally, at least for me it does. What would you do if you only had $8.00 a day? Not too much happening with the garden this week. Last week was a right disaster with that monster rain storm and wind we had. The wind blew my beautiful plant in front of the garage to shreds, knocked over plants and just created an overall mess. It took me over an hour to clean up and my wife was so sad about the plant. Honestly she was more worried about the fig and lime tree but the wind was not bad in the back of the house ,only the front. I’ve picked raspberries all week and have about a half a pint every other day which ends up being lots of raspberries for us. We tend to freeze them if we don’t turn them into a creamy berry smoothie . The crab apples on our tree are all over the place. We are going to have so many this year and friends of ours will help us pick them and find something delicious to do with them. Maybe we will make some apple butter this year. Our curly parsley is growing in abundance in the wooden container I made. I’ve started using the container for herbs as I find they work much better than simply putting them in the ground. One container is all parsley, the other is chives and another 2 with basil. I’ll likely process all the parsley to use over the winter to mix it in with my basil cubes for a bit of pizazz or to make a chimichurri. Well, I’ve seen the new blog design and it’s being coded this weekend and then I go in for my final review and away we go. 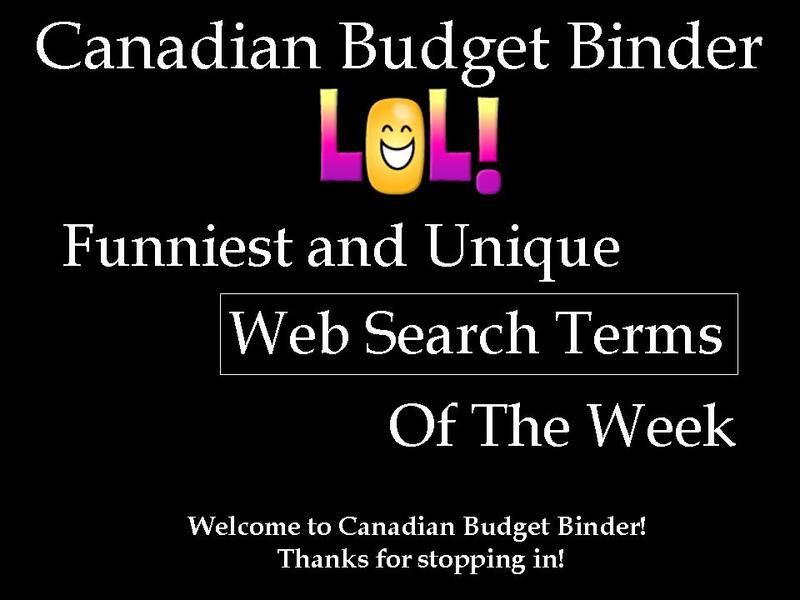 Things seem to be going well with the blog although the summer has proven to see a slowdown with the many people who visit Canadian Budget Binder, which is expected. Most people are camping or out and about when the nice weather is here but that’s fine we just keep on moving. I don’t care about debt, push! Expired warranty: Do you buy expensive cheap junk? Jen didn’t go to far this weekend but she did score one small deal for Gillette Satin Care shaving foam for $0.75! That’s a great deal considering the regular price can be near $3.00 or more per can. First of all I want to thank Mr. CBB for thinking of me for this making a difference segment. I’m incredibly flattered that someone recognizes Budget and the Beach as a personal finance blog that is hopefully helping readers out there with their own finance-related issues. I started Budget and the Beach as a way to chronicle my journey as a freelance video editor navigating the rocky waters of that world, and a place to express myself about my own money habits, most of which involved spending too much and not saving enough. 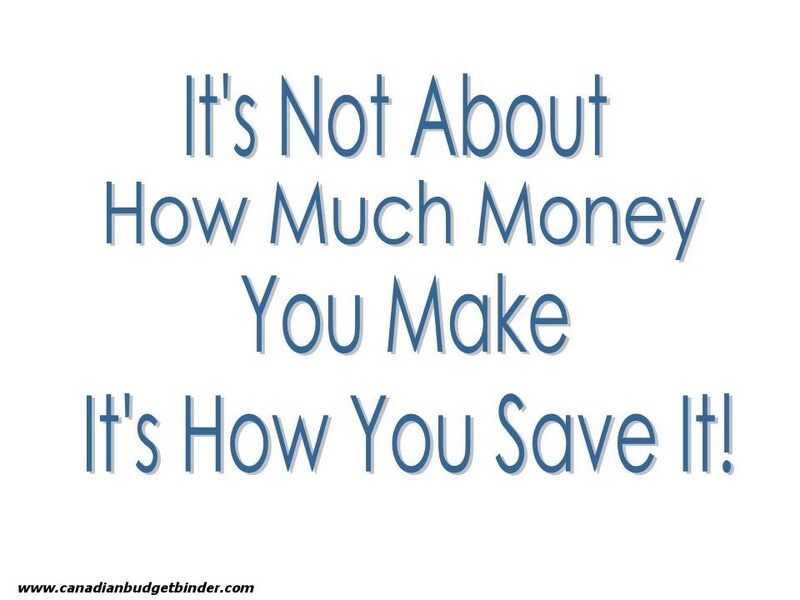 But along the way my passion for writing and all things personal finance grew, and I realized that not only could I earn a nice side income from my blog, but that I actually might be able to make a real difference in people’s lives about their own spending and savings habits. My hope is to eventually expand my site even more and do more videos, and perhaps even learn how to do podcasts, and eventually even speak to young people about the importance of being financially healthy early on in life. Money Moron Spending Budget- Looks like everyone is out and about looking for a budget. Budget Princess – There is no special budget, just one unless they are looking for the television show. Thai Lottery Numbers 2013- We’re a Canadian blog and have connection to the Thai lottery but I keep getting hits for the lottery numbers. Oh well, good luck. That’s all I have for this weeks edition of The Saturday Weekend Review. Please, join me again next Saturday for more life updates and what’s been going on in my world. Have a great week. Because my house is paid for, I think I can live on $8 a day, actually it is about what my survival budget (eating rice and beans and just paying bills) would look like. When you are on the street it is like when you are traveling, you can’t carry much stuff so everything is more expensive. You have no fridge, can’t buy in bulk, etc. I don’t know how Canada is but as a homeless in France you can get free showers in Paris’ public baths, free healthcare, free places to stay, especially in winter they open gyms and hospitals for people to sleep, the rest of the year there are less beds so many people sleep in a tent by the river. And there are lots of charities giving free meals, I volunteered for one last year, they give meals 365 days a year. Some charities also let you have an address with them and keep your mail if you are looking for a job. You can also qualify for 400 euros welfare. I am not saying that it is easy but you can cover your basic needs, clean, eat and sleep for free. If you need a job you can use the 400 euros to buy a pay as you go phone to be reachable, charge it at the charity, and some charity also give you money to buy new clothes or a voucher for a haircut. You may be homeless for a couple of months before you can put a deposit down for a place and that will be the hardest, with tenant protection, landlords aren’t too keen on poor people. You know Pauline, that’s a good question because it’s not something I have actively explored living in Canada and how the homeless are cared for if at all. I’m sure there are soup kitchens and we know there are food banks and in the winter there must be shelter. I might see what I can dig up. I could do $8 a day easy if I was in your position. I watched the video. It’s amazing how things we consider to be such a normal part of life like a bed, food, clothes, etc. can make one person so happy but we take for granted. These kinds of youtube videos are inspirational, but then it unfortunately makes us cynical. For instance the guy who was homeless who had the most amazing radio voice and used to be an announcer/ voice over guy. I mean he because an overnight success again when someone took a chance on him and then he got the craft macaroni campaign. And then sadly he blew his money again or bought drugs (I can’t remember the exact outcome). I think we as viewers of these things get more out of watching stuff like this then the people who they actually makeover, because we see someone trying to help someone else, and that boosts our mood…whatever the outcome of this guy may be, which will probably be returning to being homeless. It’s a subject that fascinates me. It’s about human nature. Anyway I could go on…thank you again for featuring me in your segment! You are correct. You viewed it the same as me on many levels. I thought more about the ‘now’ for him than anything else. I didn’t think it would change his future but if it did, great. I thought if even for the moment that guy gets to experience what he did, that makes me happy. I’m not sure if we can or ever will be able to change the world but we may be able to bring joy to homeless people including children even if it’s only to give them a hug. Homelessness is such a broad topic that I don’t want to say too much, but it’s great when someone can cash aside stereotypes and try to help someone. Sadly, we have too many homeless people for a town our size. There was a homeless fellow named Mike that everyone loved. He was a veteran and used to be a really hard worker in the oil fields, then became a huge drunk. When he was sober, he was amazing, and so many people tried to help him out. He actually was sober for a few months toward the end of his life and had a place to live, but gave it all up because he said he liked to sleep under the stars. He froze to death a couple of years ago in the park across from my office. I often wonder if there was a better system in place for veterans, could this be prevented? Anyway, it’s really sad and I hope I never have to know what it’s like. Homelessness is a pretty complicated issue. As much as I appreciate the kindness that motivated Martin’s makeover, it takes more than appearances to make a homeless person employable. Many people who live on the streets are there as a long term result of mental health issues, and this is especially true in these times, when health care cuts have resulted in the removal of much of our mental health care support system. It is all well and good to clean someone up, give them a couple of nights in a good bed, and help provide them with dental care but, unless we also address the core problems underlying their homelessness, they’ll be back on the street with perhaps an even more bleak outlook for knowing what they are missing. If you want to help people on the streets you can lobby your MPs and MLAs to support better mental health care and make addiction treatment more widely available. Campaign for a more humane, better provided welfare system, and a minimum wage that people can actually live on. Help organizations for the homeless by donating underwear, socks, bedding, and toiletries. Support organizations that provide mailboxes for low income persons seeking employment. Carry bags packed with sample sized toiletries and packaged foods like granola bars and tubs of applesauce and give them out to people begging instead of handing out money. Thanks, as always for the interesting links. Thanks Beth for you input.. always appreciated and some very good points indeed. Wasn’t me looking for bulk Gatorade!!!!! I’ll settle for a coupon or three for it. I watch the sales for it and buy then. The older boy is the one that drinks it but only one or two a day so a decent sale can keep him supplied. This week it’s Powerade on sale … 4/$5.00, not a truly great price but it’s workable. Looks like I have some new sites to look into again this week… Nice. Some of those search terms can be crazy as well as funny!! Hope you are having a good weekend …. Think I might make a treat for tonight as well as thinking of something for dinner tonight…..
I’ve never talked about gatorade only you have so it may have just been the word gatorade that brought them here rather than the sentence. The storms were crazy last week but as long as we are all ok plants can be replaced.